Today's the day you've been waiting for. You've purchased your traditional Bavarian wear, you've mentally prepared to marathon drink, and you've charged the battery on your beloved camera. You are ready to take on Oktoberfest. 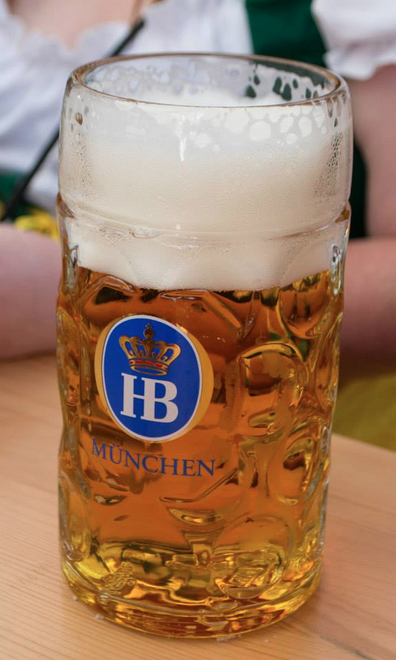 Take on the famous German festival like a pro. Today's the day you've been waiting for. You've purchased your traditional Bavarian wear, you've mentally prepared to marathon drink, and you've charged the battery on your beloved camera. 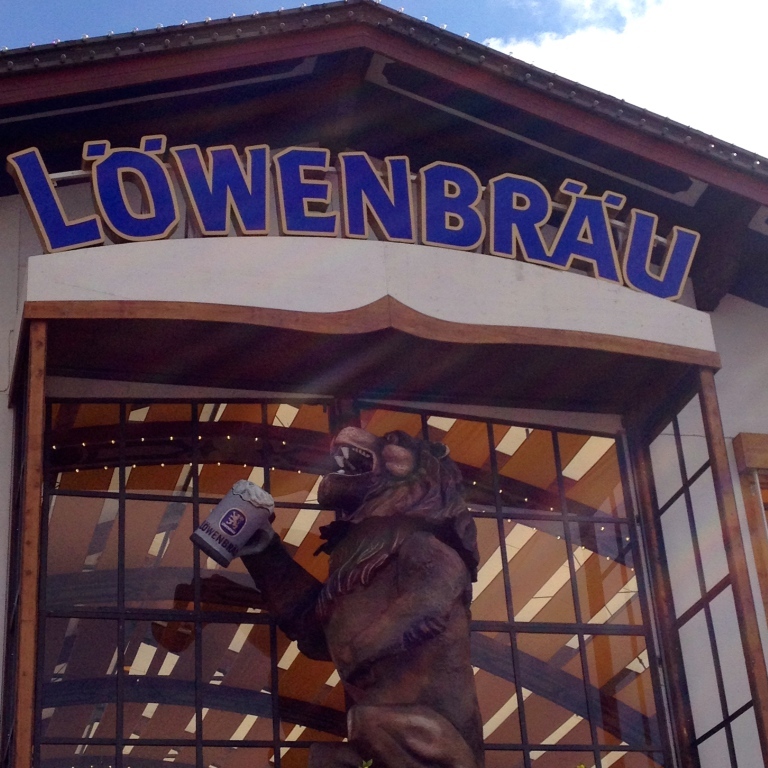 You are ready to take on Oktoberfest. But, before you go, here is a 12-Hour Survival Guide with tips and notes to help you make the most out of your day celebrating in Munich. 6a.m. - Rise and shine. Yes, you should be waking up this early to get ready for your day of festive beer guzzling. While putting on your lederhosen and dirndl may take you a little while, it's very important to hydrate and grab breakfast before your long day of celebration. While it might be difficult to find a café open this early, you could try purchasing a quick meal from a local supermarket the night before, so you'll have sustenance in the morning. 7a.m. - Dressed in your traditional Bavarian wear, you should be making your way towards the festival no later than 7a.m. Why so early? The beer tents tend to fill-up very quickly, so people line up very early to insure a spot. Also, if you haven't take the German metro system yet, it can be difficult to purchase a ticket on the automated machine and navigate your way there. Leaving early gives you a little extra time to get lost. 8a.m. - By 8a.m. you should be standing in line for your chosen tent. Make sure you've done your research before hand, as each tent caters to a specific crowd. While they are all serving the carefully brewed beer, some tents are geared more towards college students, while others are specifically meant for families. While you will be able to switch tents throughout the day, it can sometimes be difficult to get into the very popular ones. 9a.m. - Hurray! The doors have opened and people are pushing their way into the beer hall in the hopes of grabbing a seat before they're all filled up. This is the one time throughout all Oktoberfest you should be especially careful with your belongings, and your personal space. Grab the hands of the people you're with and brave the crowd. 10a.m. - The magical waitresses of Oktoberfest should have finally gotten around to serve your table the stein of specialty-crafted beer. While it may be tempting to stand on the table and chug the ginormous glass of beer like the other college students in the tent, I recommend you take things a little bit slower. This beer will get you very drunk very quickly. It's also about 10 Euros a beer, which can get a bit pricey throughout the day. 11a.m. - Time to switch tents. Many of the tents will rotate you out once you have finished your beer. This makes it a bit harder to get in to another tent, but leaving before the crowd normally offsets this dilemma. Hit the tent you most want to see. You may have to wait in line, but it will be worth it if this is the only other tent you are able to get in to. Pro tip: Sometimes telling the security guards that your significant other is already inside will allow you to skip the line. If this is one or two of you, this may work. If not, don't try it. 12p.m. - It's lunchtime! Find one of the delicious food vendors, hand over your euros, and dig in. It is important to remember to eat and drink plenty of water while at this event. Becoming dehydrated while drinking an enormous amount of alcohol on a hot day can quickly become a disaster! Try one of the pretzel or schnitzel vendors for traditional food that will soak up alcohol in your system. 1p.m. - Now is about the time where you may be dying to use the restroom. Congratulations on not having to go prior to this moment. Despite the monumental feat of having drunk all day without peeing, now is the time for you to brave the longest line of the day: The bathroom. For a festival that draws in thousands of visitors each year, it's a wonder that they haven't added 100 more bathrooms to the complex. As always, the women's restroom has a line far surpassing that of the men's. And, while you will see drunk women in dirndls trying to sneak into the men's restroom, I don't recommend it. The wait for the women's restroom is about 15-20 minutes long, possibly even longer if women see their "friends" in line and join them. Make sure to tip the women working! 2p.m. - Take a break from the beer tents and venture on over to the amusement park rides. Bumper cars, carousels, and spinning rides that move much too quickly for someone who has been drinking all day are accumulated on one side of the park. These lines for these rides are not dauntingly long, like those of the beer tents. Often, the people lined up for the rides are little children and teens, as most of the adults are still lost in their beer. Surprisingly enough, the rides are clean, cheap and fun to ride, so long as you haven't drank too much. Take time to explore the rides available to you. Check out the Ferris wheel 360 degree views of Oktoberfest. 3p.m. - Last call, for you anyway. Find one last tent (or vendor) and grab a final beer for the day. Try to find a group of people from another country to drink with and share stories. Even if they don't speak English, try to communicate with each other. Drinking together brings an automatic bond with other people. Even just laughing together can make for a great story later on. 4p.m. - Start to wrap up your beer drinking and begin to hunt for souvenirs. That's right. No need to be ashamed of being a tourist here. Grab a t-shirt emblazoned with the festival's name, or even buy a shot glass. But, remember not to take a stein. 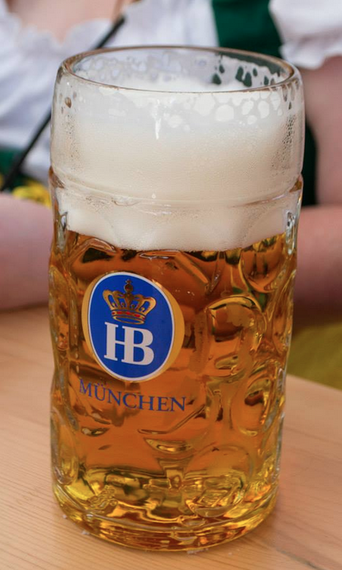 Stealing a stein can land you in a German prison, so be wary. 5p.m. - You've had an extremely long and tiring day. It's totally okay to leave Oktoberfest early, especially to get food. While the prices at Oktoberfest are reasonable, I recommend heading to downtown Munich to grab a bite to eat and rehydrate. Try Augustiner for traditional German food. While the restaurant is quite touristy, the servers do all speak English and are very helpful in recommending dishes to try. The best part? Augustiner has live music! It's a perfect way to end a day at Oktoberfest. *Please note that this guide is based on attendance at Oktoberfest over the weekend, when tents are open from 9a.m. to 11:30p.m. Adjust accordingly if you are visiting during the weekday, when tents are open from 10a.m. to 11:30p.m.